Soy based polyfoam replaces traditional foams. More Natural fibers are used. Heavier gauge individually wrapped coils on the perimeter of the mattress gives you a firmer edge, which provides greater surface use. Gel is infused into foam providing a more supportive, longer wearing foam that has a cooler feel to it. Each coil is individually wrapped allowing independent movement for a customized support for each person. The coils dissipate movement for an undisturbed sleep. 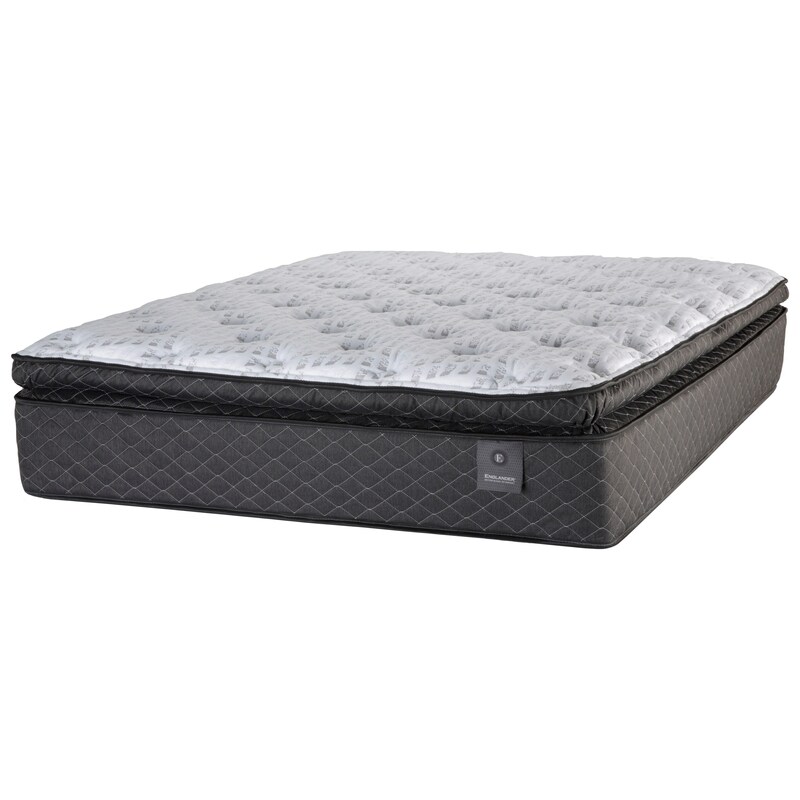 The Barrington PT King 14" Pocketed Coil Pillow Top Mattress by Englander at Great American Home Store in the Memphis, TN, Southaven, MS area. Product availability may vary. Contact us for the most current availability on this product. Enjoy the many features of this value priced mattress and see how a good nights rest can be affordable. The Barrington Pillow Top Mattress is supported with 789 (Queen) individually wrapped coils allowing the coils to adapt to your curves giving you tremendous support. These coils are surrounded by heavier Density coils providing a firmer edge for less roll off. Layers of comfort foam including Gel Infused Foam and Convoluted Foam, provide a supportive cushion allowing you to get the rest you need. The Barrington PT collection is a great option if you are looking for Mattresses in the Memphis, TN, Southaven, MS area. Browse other items in the Barrington PT collection from Great American Home Store in the Memphis, TN, Southaven, MS area.